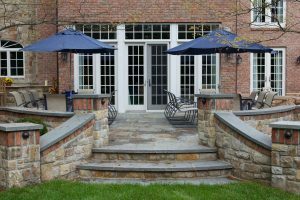 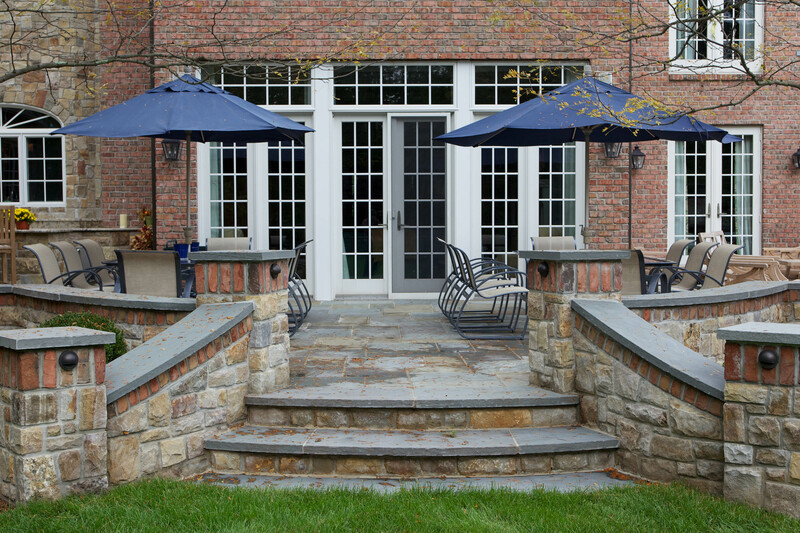 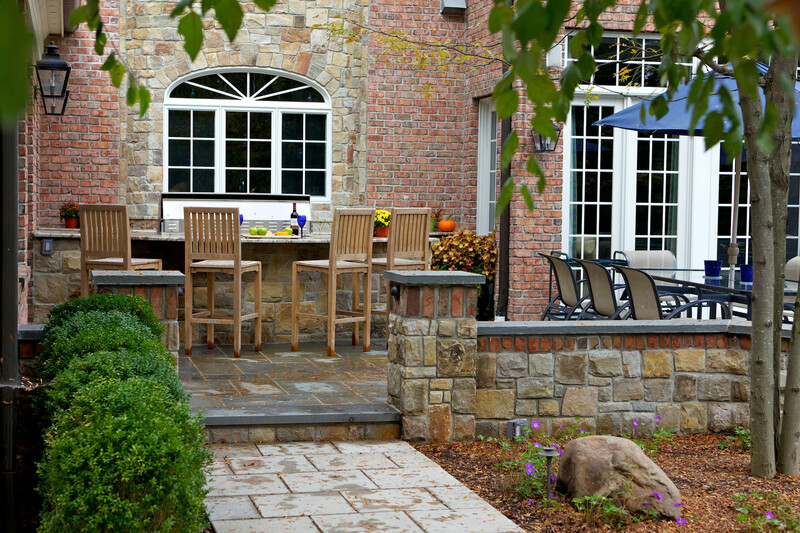 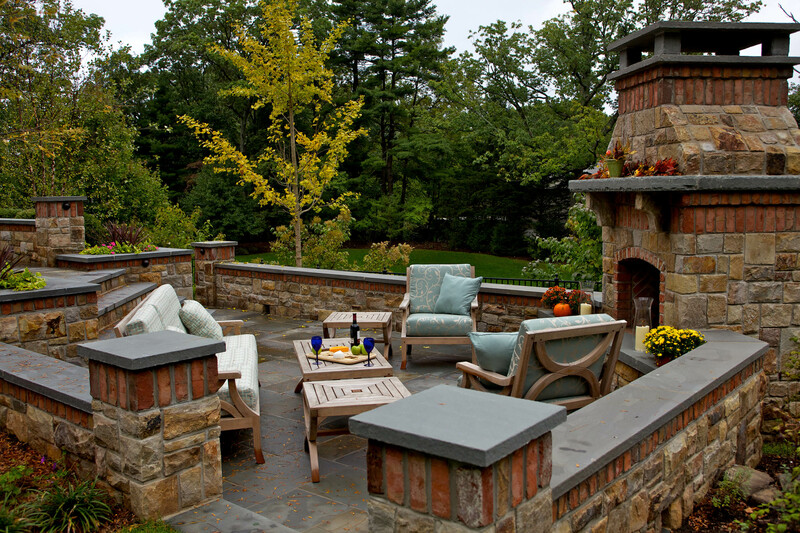 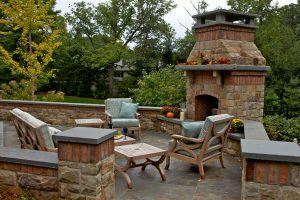 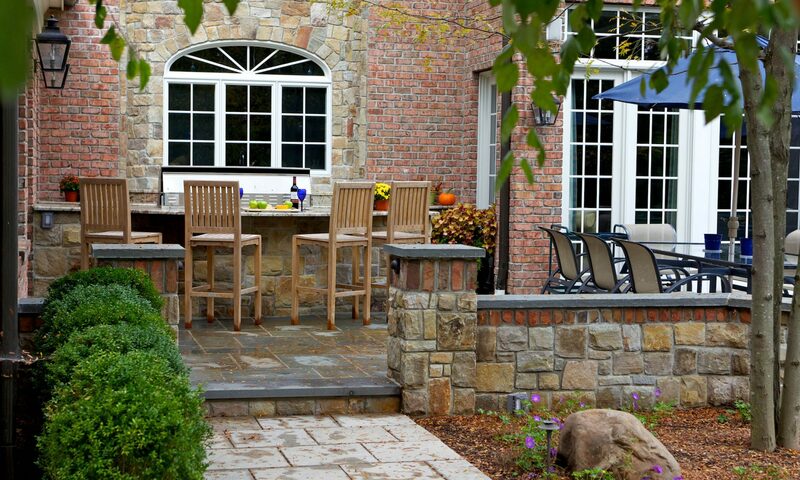 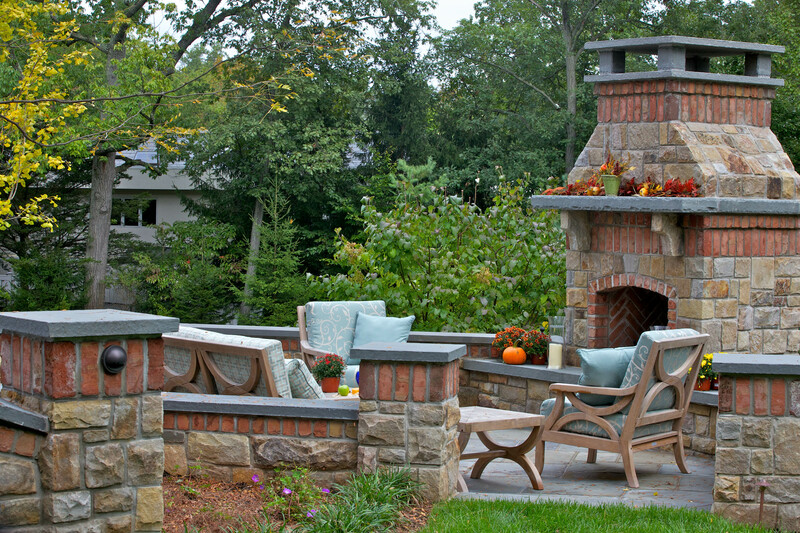 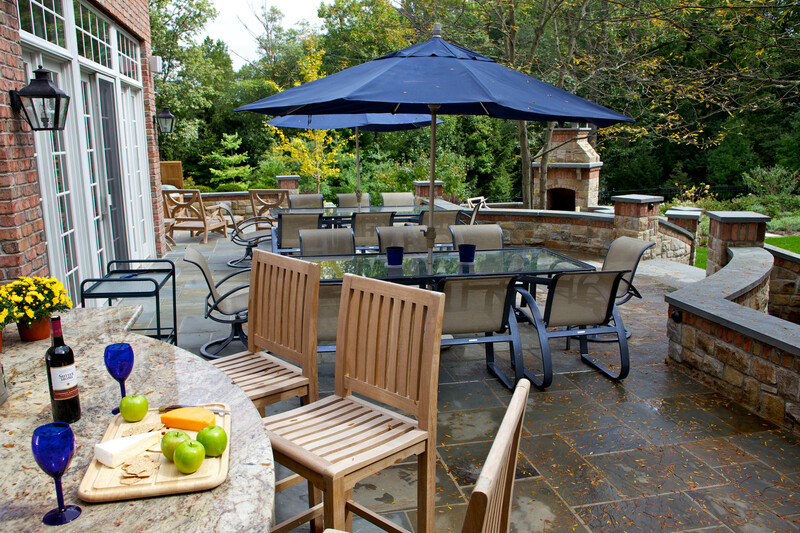 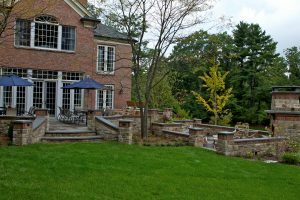 Casual Entertaining - Deborah Cerbone Associates, Inc.
Our client dreamed of a new outdoor entertainment space to replace their tattered deck. A bi-level terrace was designed to respond to the grade changes and a central staircase now leads down to the formal lawn that parallels the pool area. The new bluestone terraces are surrounded by seat walls made of natural stone with brick accents that compliments the all-brick home. 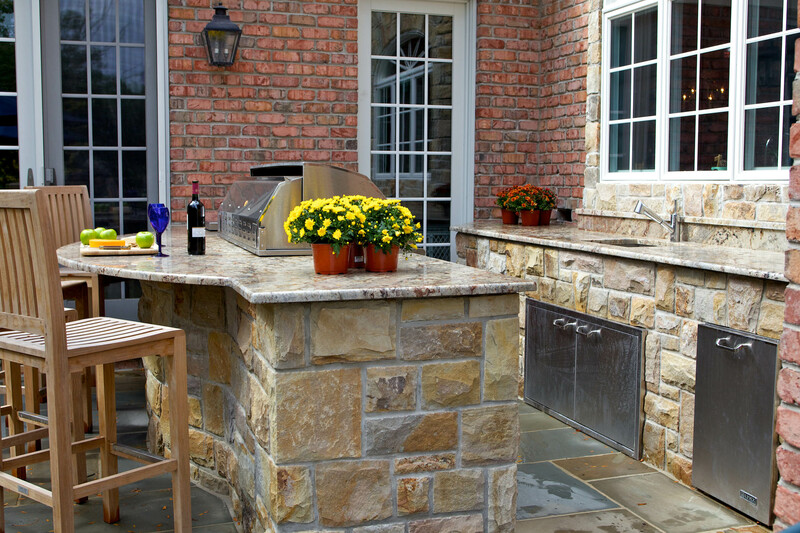 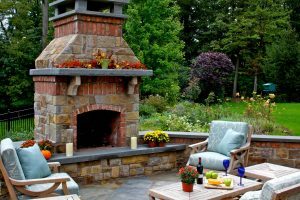 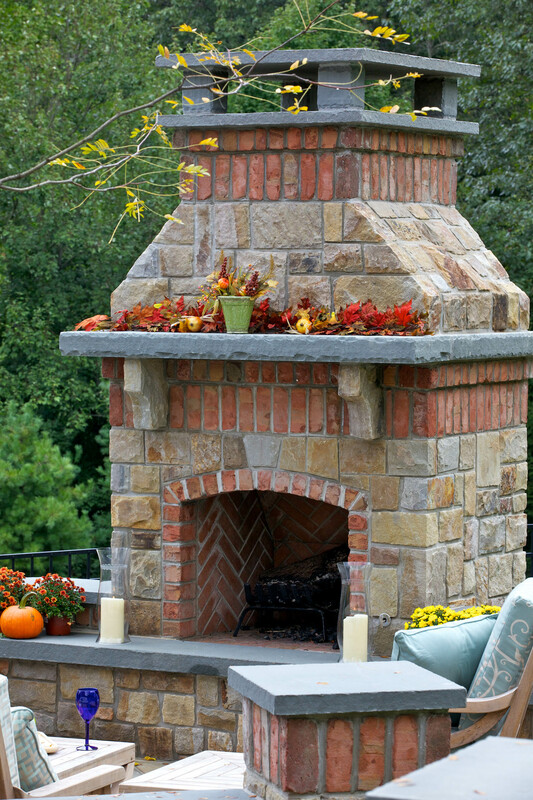 An outdoor fireplace provides an extended season of use and the outdoor kitchen and bar allows the owners to cook for their guests without missing the party. 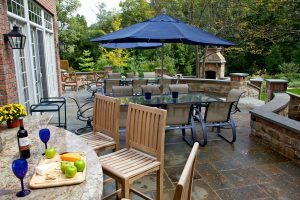 Spontaneous parties for 50 are thrown on a regular basis here in this casual yet elegant outdoor entertainment space, just as the owners had dreamed of. 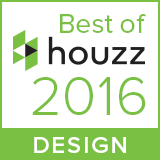 This project was completed in partnership with The Todd Group.